It is a known fact that more than two thousands kid are taken to the emergency room. Many of these injuries are electrical items as the children used to do the same thing from which they are forbidden. It is known that 7 children per day end up dying due to electrical injuries. If you think that your house is safe then you are wrong. Just observe your surroundings and you will find a lot of sockets which can cause electric accidents. As you are all aware the skin of children is very thin sensitive. This means that too much heat can cause unwanted injuries. Parents are not able to watch their kids all the time and this is why you must make sure the house is safe. People try their best to cover these sockets and switches but you know children can easily remove it from the sockets. many children unfortunately are injured due to this and some of them die as well. Parents try their best to cover the all sockets. But as you know that it is very easy to remove it and of course after that you have to face great difficulties as well. 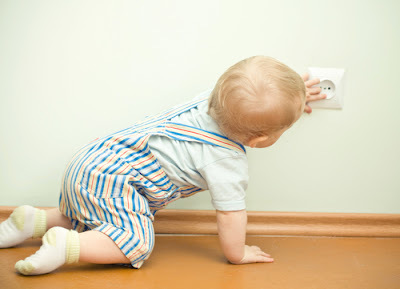 tips on keeping baby safe from electricsIf you have little ones in your home then you are at enhanced risk of having an accident with electricity as a result of inquisitive nature of little ones. They are going to make an effort to stick things in the sockets and are going to attempt to stick things in the DVD player. What we have to try and do as parent should be to minimize any electrical risks within our homes. 1.Firstly the Institute Of Electrical Engineers recommends having your domestic electrics checked every 10 years. And when you first move into your property. In case you are in rented accommodation then this frequency is every 5 years. 2.Make sure that all of your sockets are protected with an RCD unit. This unit is there to supply you with supplementary protection against electric shock, basically it's a basic safety device that has saved countless lives in the Singapore. 3.Cover all unused sockets with socket covers to stop the newborn poking items into them. Much better still put a piece of furniture in the way if possible to stop them getting to the socket in the first place. 4.If you want to use extension leads then make sure that they are safe. i.e. no damage to the cable insulation and also do not run them beneath carpets and keep well out of the way of kids, children have been known to chew the cable. 6.Do not make it possible for children to play with electrical appliances under any circumstances. You will need to follow these simple safety tips to keep your house safe, particularly this time of year when we are thinking of bringing our Christmas Lighting down from the loft. Every year there are fires that have been started by badly maintained Christmas lights. Our word of advice with Christmas lighting would be to buy low voltage lights and that way you limit the chance from electric shock as most low voltage lights are 24 volts DC. 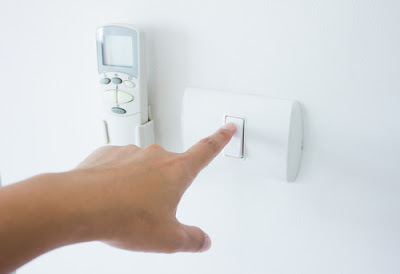 Just be sure to take the transformer out from the socket every night, never rely on just turning them off by the switch. When you acquire Christmas lights be sure to buy the kinds that have the CE safety mark on them to ensure the quality. Children are curious. Those who are too young to understand and appreciate electricity are most likely to get into trouble and even older children are apt to make mistakes when handling lights or other electrical appliances. The key to keeping your children safe is to make sure they not only understand the dangers associated with electrical power but are kept away from it as much as possible as well. 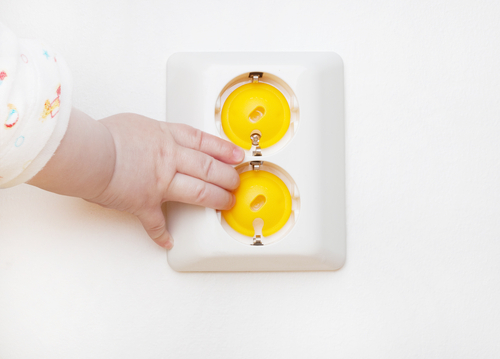 Our favorite Dover electricians have offered these tips for electrical safety around children. 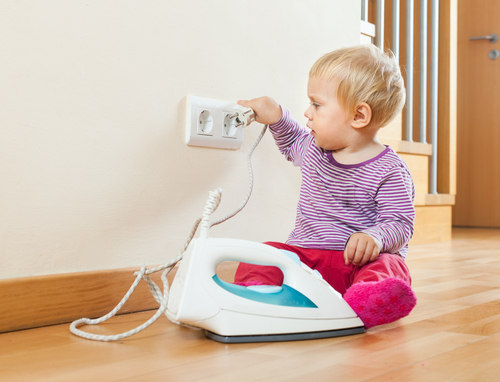 Children love to explore and electrical outlets will prove just as interesting to them as anything else they come across. 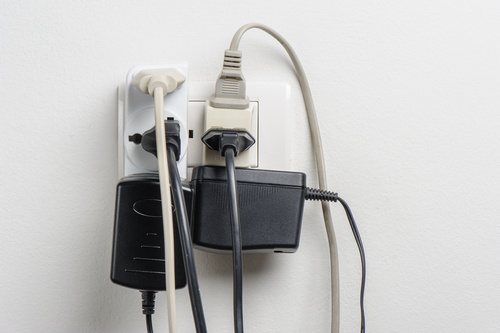 To avoid electrical shock, any unused outlet in your home should be covered. You can do this by purchasing a package of plugs from your local hardware store. Moving furniture in front of the outlets can also help to deter young explorers. 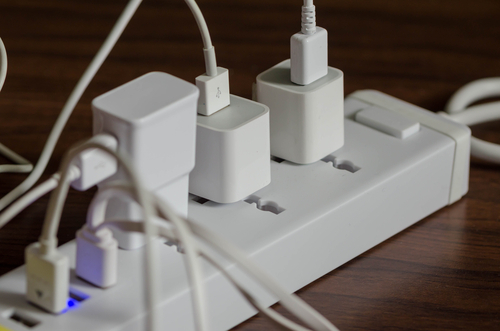 Talk to your child about staying away from outlets as soon as you feel he's able to understand. Wires are, of course, an electrical hazard - especially if they're older, fraying, or overheating due to age or malfunction. What we tend to forget, however, is that wires pose a trip and fall hazard as well. 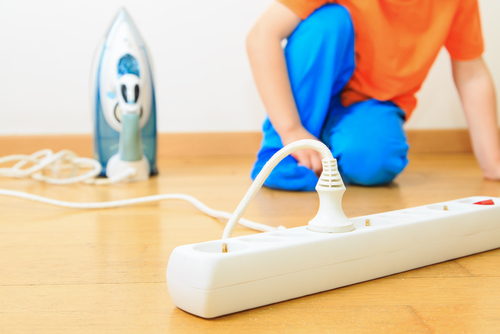 Young children with imperfect balance are very likely to trip over exposed wires. Make sure trailing wires are run along walls, secured with fasteners, or are covered with wire covers that smooth them to the surface. 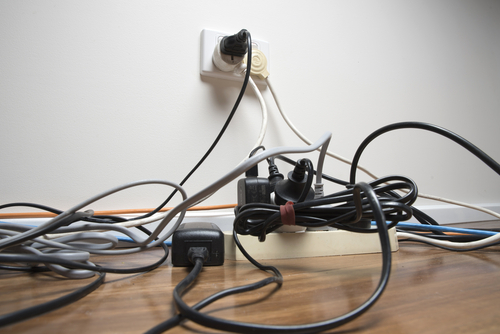 Electrical hazards are not only prominent indoors, but outdoors as well. Make sure your children do not get into the habit of playing on our around power poles or fences around power generators or similar devices. You'll also want to make sure that the trees in your yard do not come into contact with power lines, especially if the kids might be tempted to climb. Talk to your children about what to do if they come close to a fallen power line, too. Young children will not understand how appliances like toasters, ovens, and microwaves work and should be taught to simply stay away from them. Older children may need to learn how to use these devices and should, as such, learn to use them safely. Make sure your children know not to touch any electrical appliances while their hands are wet and make sure they know to never use them while they're in the bathroom, where the probability of coming in to contact with water automatically increases. Are you in Singapore and you work in an office where you are facing a lot of electrical problems? Well, worry no more as there is finally a way out of this. Generally, there is a lot of office problems associated with electricity and the main one is the blinking light problem. This problem is brought about by so many aspects ranging from the design of the electrical system to the age of the different electrical components. Here we are going to give you ways in which you can solve this problem and below, is a list of 7 ways on how to solve blinking office light problem. One of the major ways in which the blinking office light problem occurs is loose connections. When there is a loose connection along the line, the load will cause the connection to connect and disconnect sequentially hence, causing the bulb to go on and off. This problem can be solved by ensuring that all the connections are done in the right way and that there is no loose connection. Replacing the old and worn out parts is another good solution to this problem. 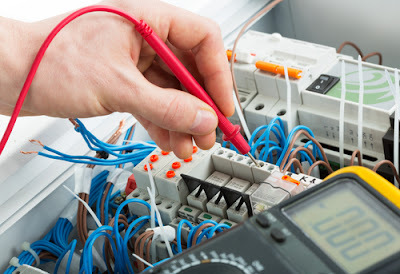 This is because in most cases, as the components get old, the connection begins to get loose hence causing problems as a result of loose connection. Ensuring that the life span of all the components relating to any office lighting connection is within that specified by the manufacturer is one of the ways of solving this problem. Another cause of this problem is a fluctuating source of power. For example if they are using a generator to power the office, ensure that the power generation from that generator is steady and that the frequency is well synchronized with all the electrical gadgets being used. 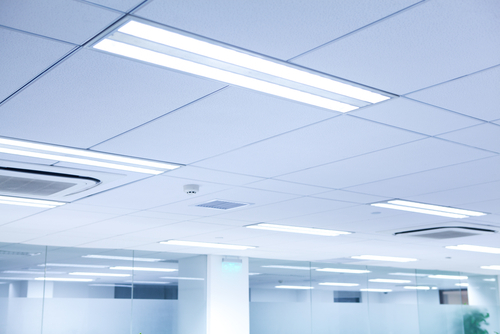 In rare cases, blinking office light problem is brought about by defective lighting components like the tubes or bulbs. Troubleshooting and deducing that this is where the problem arises from, replacing the affected ones with new and strong ones will solve this problem. You can do this yourself or hire a professional to do it but it depends on the level of damage and design of the office wiring. Heavy appliances like welding machines cause the electricity flow to fluctuate hence causing blinking effect. One of the best ways of solving this problem is by avoiding a direct connection of a heavy appliance in the same phase with the office lighting system. If this must happen, there are some ways in which the connection can be done in order to avoid this problem. One of this ways is by using the electrical gadgets like capacitors which provide a smooth flow of electricity thus preventing the lights from blinking. Each country has its own frequency level like in Singapore, the mains electricity is produced at around 60 hertz of frequency. 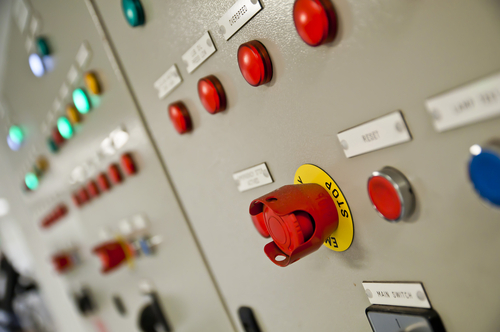 In order to ensure a smooth operation, using bulbs which are rated to operate at the same frequency level as that of electricity supply is a good thing to do. On the other hand, using lighting components whose frequency parameters are either high or lower than that of the min source will cause the blinking problem since the frequencies are not synchronized. This is a very simple way of solving this problem but it is very rampant since not all the people using the lighting systems knows about this and end up just buying any bulb so long as they are required to do so and at the end of the day, they will face a lot problems . Mostly, fluorescent tubes need the use of a starter while starting them. Like any other electrical component, starters get worn out and start malfunctioning and one of the symptoms is blinking of the lights. A starter is a very important component as far as office lighting is concerned and for this reason, a good quality of them must be used. Getting a good quality starter can be tricky if one is not careful and patient enough. There are some of the most amazing techniques one can apply while looking for barely anything in the field of electrical in order to get the best in terms of quality and price. Comparing several brands before choosing one is among the best techniques to use in order to get a gadget which is of high quality and which will definitely work as required. This is because the art of comparison will equip one with all he need while making a decision on which one to buy. 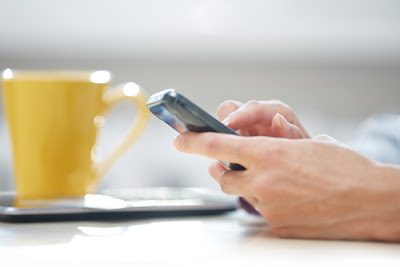 Reading reviews of other users is another technique to use while looking for these gadgets. This is because reviews are some of the most sincere comments from either experts or users. Using online methods while reading reviews is an assurance that you will get the best reviews as most of the users and experts use this method to post their reviews and comments on different categories of products. Also, online methods are proofed to be among the cheapest methods to use while looking for information relating to barely anything. This is because all the information needed is just a mouse click away and that they are found without necessarily traveling from one premise to the other. Also there are so many users in this platform and because of this reason, the prices of services are reduced in order to beat the ever rising competition amongst the various such service providers. 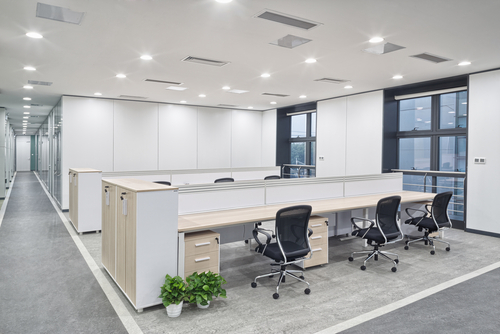 In order to ensure that your office is one of the most conducive places to work ,ensure that all the lighting systems are well fitted and that there is no office light blinking problem by rectifying the course and by so doing, everyone will be happy to work in that office hence improving the productivity. 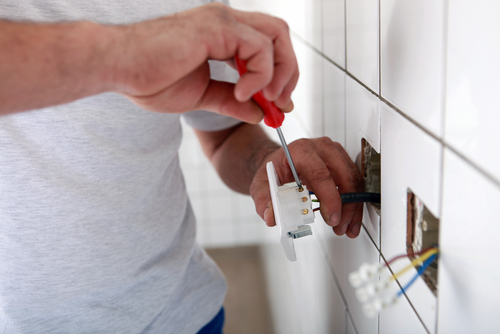 Doing the electrical installation in your home by yourself can always be a tempting task for so many people. May be you are diy person and you might have done a lot of similar works as well. But as far as diy electrical installation work is concerned you should not do that in any condition. Doing that work can lead you to so many complication and it can have a number of dangers also associated with. Here, I am going to share some of the dangers of diy electrical installation work and I hope it will help you make your mind wisely for same to have and optimum result. 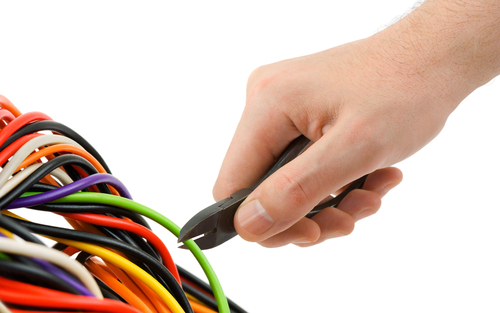 Incorrect size wire and cables: In electrical installation, the gauge of wire or electrical cable is very important. If you do not get the right size, then it can either draw a lot of power or it can get melted due to over load. In either of the situation your home will remain at a huge risk. When you do the electrical installation work with DIY method, then you leave your home in this situation. 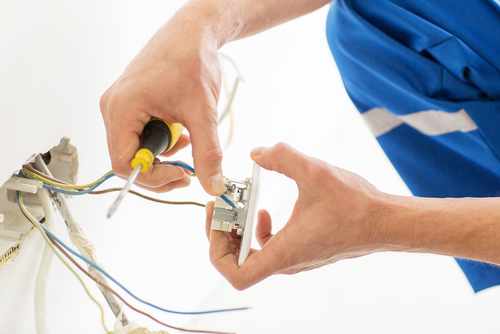 If you will choose an experienced electrician for this work, then he will be able to get right kind of wires and that will do the trick easily. 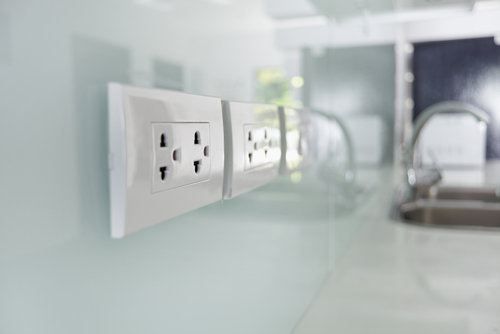 Incorrect outlet and switches selection: In order to keep your electrical installation safe, it is extremely important that you choose right size of electrical switches and outlet. If you fail to choose right size of electrical switches with your outlet or board, then fitting will remain loose and that will be a big security risk as well. Wires may come out from it and that can hurt people with it. Also, it may cause overheating and similar other issues as well and that will also be a big risk for security in your home. 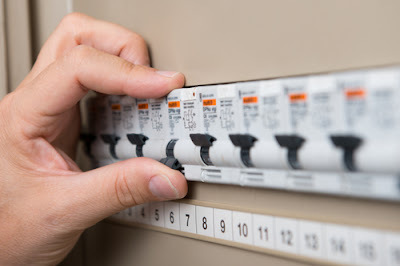 Fault in your electrical box connection: When you install an electrical box, then it give your protection from all the external elements. If installed properly it can do its job in pretty decent, manner, but if that electrical installation is done in a wrong way, then things could just take a reverse turn. 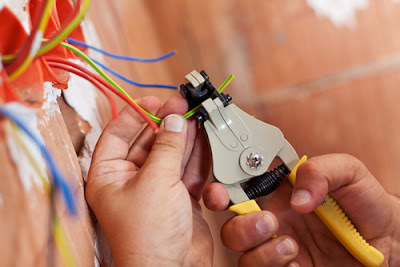 In your diy electrical installation work, you may actally make the connection in a wrong way and that will hurt you badly. Also, you may never know when your electrical box is getting overloaded. 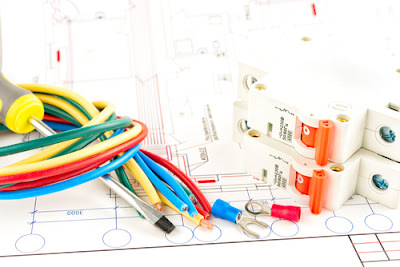 At the other hand, if you will hire a trained electrician, then he can check all these things and he can make sure you get all the connections right. Wrong fuse selection: If we talk about the fires caused by electrical system, mainly it occur because people chose a wrong fuse wire. They replaced the fuse wire with a heavy gauge wire. As a result of that circuit never tripped and wires kept on heating. If you are not an expert, then you may never know the right gauge of fuse wire for any particular load. Many time when you do diy electrical installation, then you might make this mistake as well and that can cause serious troubles as well. So that is one more good reason because of which you should stay away from doing this work by yourself. Fuse connections: In your fuse box, all the connections should be tight and firm. It should not have any kind of loose ends in it and if you are replacing it, then it should have proper replacement as well. 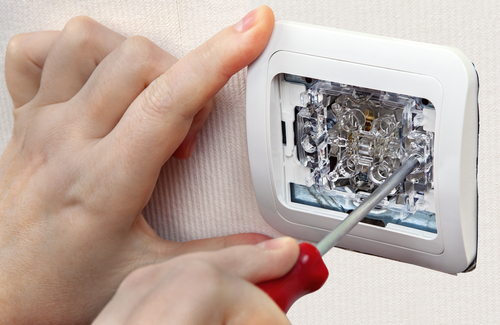 If connections are not properly tight, then you may have flicker in your light and it can also cause a short circuit. In some situation circuit may heat and it can cause fire. This is one more issue that appear because of DIY electrical installation work. You may not know how to do this work unless you have proper training and good amount of experience. Needless to say, I can ask you not to do the electrical installation work by yourself quoting this as one more reason for that. Wattage of connections: Many time when people do the electrical installation work, then they check all the other factors but they ignore the wattage or load on that cable. If they ignore this then it cause very circuit tripping issues. If you will use a bigger mcb, then it will never beak and it may affect the health of your electrical equipment’s. And if you will use a lower capacity mcb, then it may keep tripping and that can disturb you as well. If you will hire an electrician for this work instead of diy, you will be able to have good outcome as well without worrying about any kind of damage. Over use of electricity: The biggest drawback of diy electrical insulation work is that you never know how to save electricity. You can use a lot of cables, that will consume more electricity even if you are not running a lot of appliances. Also, you may do the installation in a wrong way and that will also cause you consumption of more electricity. If you will hire an expert to do this work, then you will not have to worry about these issues and you will be able to have good outcome as well without worrying much about these factors. Other than this, when you diy, then you always remain exposed with the accidents. Expert electricians get all kind of safety equipment’s for the electrical installation work and they know how to use it. At the other hand, you may not have any of these equipment’s and that is why you may not get any good result as well. Apart from this, you may also need to buy tools, equipment’s and other thing for this work. 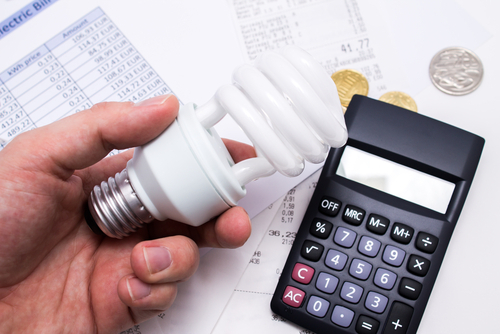 All those things will charge money for you and if you will check the overall cost of your diy electrical installation work, then you may end up spending more money for same. So, cost saving is one more factor because of which you should hire an expert electrician instead of doing this work by yourself. Electricity is the best friend of human being and we can’t think about our life without electricity. But if you don’t use it properly at your work or at your home, then it can give so many complications to you and sometime you can lose your life as well due to its improper use. That is why it is important that you follow all the electrical safety tips and suggestion at your home and work for its better utilization. 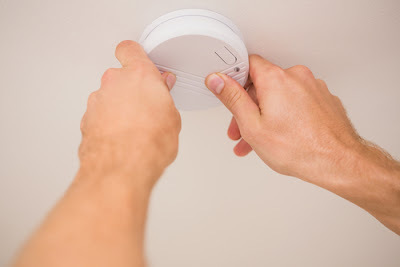 If you are well aware about these tips and electrical safety guidelines that you should follow at your home and work, then tis great, but if that is not the case, then I am sharing some of the details that can help you in this requirement with really great ease. Use MCB: This is the most important electrical safety tip that you should follow at your home and work both. MCB or circuit breakers help you get better electricity supply in your premises and in case of any accident or other issue, it cut down the power for you automatically. That means if something goes wrong in your electrical system, then your MCB can detect that damage and it will cut the power before damage goes to next level. Other than this, if a person get electric shock in your home or work, then MCB can be the best electrical safety for you. It will instantly cut the power in that circuit and that person will get away with a minor shock instead of major accident. Don’t play with electricity: Playing with electricity is the biggest blunder that a person can do. If you are assuming that you can play with electrical supply or appliances without having any damage with it, then you are making a wrong assumption for that. Electricity is no one’s friend and if you will handle without following proper security measures, then you are going to pay for it. So, it is extremely important that you use all kind of safety tool or gears while doing any kind of electricity work. Also, you should ideally turn of the main electric supply before doing any changes in your electric work. That will keep you away from any kind of possible troubles or accident that you may have due to this issue. Use best material: Use of non trustworthy material is another big mistake that can lead you to serious problem with electricity work. If you will use some wires, switches or other electronic material that are not well tested and approved from authorities for electrical safety, then you will be making a big mistake from your side. To avoid this issue, you should always trust on a reputable brand that is known to provide the best quality material to all of its customer. This assurance will make sure you get the best electrical appliances and products at your home or work and you don’t get any electrical safety complication in it. Replace damaged switches: For better electrical safety in your home and at your work place, it is strongly recommended that you replace all the damaged switches and sockets without any delay. This is one of the biggest electrical safety mistake done by many people around the world. When they notice a minor defect then they assume it will work and they try to find some work around to use that damaged switch or socket. And sometime that ignorance leads them to a dipterous situation. 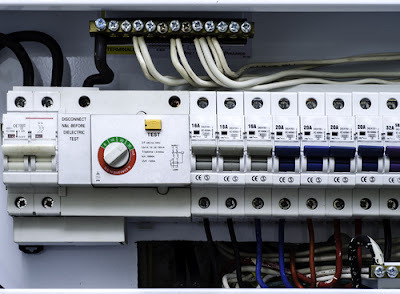 That is why, you should take your decision for this subject in a wise manner and you should replace damaged electrical switches as soon as possible. Don’t use faulty appliances: If you are using any kind of faulty appliances in your home or work place, then that is a big mistake and that is not good for electrical safety. To avoid this issue, it is strongly recommended that you use only those appliances that are in properly working condition. If you notice any kind of damage in your electrical appliances, then either get it repaired or replace it without any delay. These basic things are very important and you will not make these changes, then you can have a lot of issues. So, make sure, you keep this thing also in your mind for better electrical safety. Choose a good electrician: In Singapore, you shall find only accredited and licenses electricians for any kind of electrical work. A licensed and experienced electrician will know about the electrical safety tips that he need to follow at your home or work place. If you fail to choose a good electrician, then things might not go into your favour. 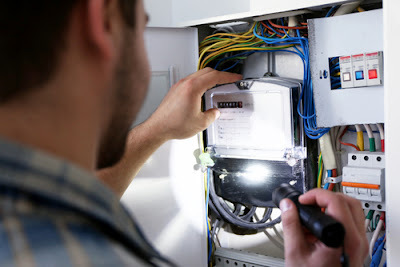 Ideally, you will not have any trouble finding a good electrician in Singapore, because many good agencies are there that can help you in this particular requirement. So, make sure, you follow this rule as well to avoid any trouble and to have the best result in easy manner. Don’t pull the cables: Many people have a bad habit of pulling the cables from their power socket. This could be a major risk for you in terms of electrical safety thing. If you will do this on regular manner, then it can break your electrical power socket and cables both. 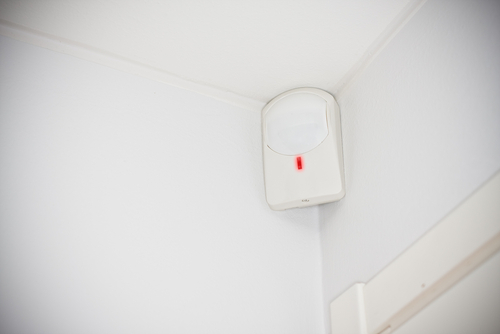 That can cause serious issues in your appliances and sometime it can cause for a short circuit as well. So, if you don’t want to take any of these risks, then it is a wise idea not to make this mistake in any condition. 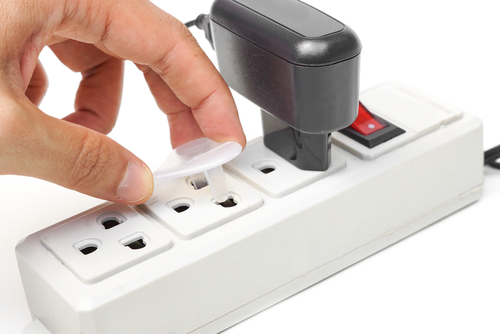 Do not use extension: Use of extension seem like an easy task for people and that is why they love to use extension without thinking its effect on the electrical safety thing. If you will use this in your home of work place, then it will make the place vulnerable for short circuit. Using extensions, you can add unwanted extra load on any particular circuit and that could cause a short circuit or other similar issues. So, make sure you avoid this mistake as well to have better result in easy manner. One common factor that is overlooked when designing an office is the wall socket planning. Some people focus more on other areas around the office, like the furniture, but they ignore the wall sockets layout. The wall sockets are one of the most vital features in the office. A well-established office will have electronics and other equipment that are powered by electricity. Unless there is electricity in the office, such equipment might not function. Electricity is accessed via the wall sockets. For that, they are critical in the office, and you must keep that in mind when you are designing the office. So how do you plan for the electrical wall socket in your office? 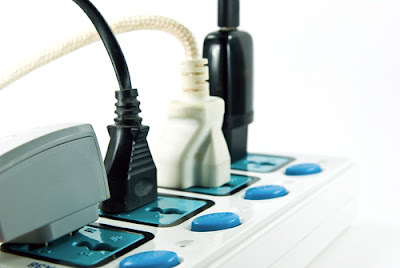 Before you start planning for the plug socket, you will need to learn about the prerequisites and codes that have been defined by the Electricity Board in Singapore. 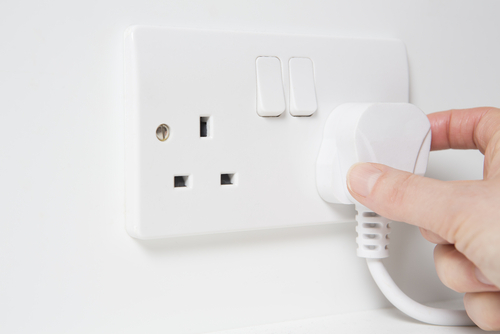 Learning the rules helps to educate you on how to plan for the plug socket in your office. These rules will mostly focus on the minimum requirements for the placement of the socket outlet. You should learn about the minimum or maximum number of socket outlets that should be placed in one room. When you clearly understand what is required for every socket in the room, you will now need to assess the room for how you will use the electricity. Make a detailed assessment around the room and relate to how you are going to use the rooms in the office. The crucial aspect here is convenience. For that, you must ensure that each socket is placed conveniently and that you can have access whenever. Using extensions can help to create room for more equipment and devices to use. Nonetheless, they can also lead to accidents, especially when codes are crossing over the floor. To reduce such cases, it is advised to place the plug sockets near to the point of use. The office will most definitely be furnished, so you will need to keep in mind the layout of the furniture that you will include in the office. Suppose you plan to have a centralized sitting area as the waiting area, you will keep in mind if there will be the need of having a water dispenser at that point. Suppose there will be lockers that stand against the wall, there must be some space for the socket outlets. Do not block the vital plug sockets when you are placing the lockers against the wall. • What about the lighting sources? Another factor to keep in mind is the location of the lighting sources of your office. A professional office must have plenty of lights, whether artificial or natural. Will there be lamps near the tables or you have a floor lamp in your office? Most of the table lamps and floor lamps will use a plug socket, so ensure that you plan accordingly. Ideally, do not place an extension to be used with the table or floor lamp. To enhance the elegance of the place, you will need to place the table or floor lamp directly to the socket outlet. • How many electronics will be used in the office? Other than the lightings, you must consider the total number of electronics that you will be using in the office. This will range from the computer or laptop, the printer, scanner, router, photocopying machine, or any other equipment. When you have the total number of equipment you would be using, and you will need to decide on the number of sockets you can have in the office. It doesn’t mean that every electronic must have its socket outlet. You can also use extension sockets to enhance the accessibility. • Will there be a TV in the waiting area? Most of the offices that have a waiting area will go for the wall-mounted TVs. These TVs tend to be more reliable since they cover more audiences. Also, they will save up more space, and there will be no any chance of falling over or any other theft case. If there will be a wall-mounted TV, you will need to place the socket higher, or where you will be placing the TV. Do not place the socket too low to make it inaccessible. • Will you need to decorate the office for the holidays? As you intend to place the plug sockets in your office, you will need to keep in mind if you will need to decorate it for the festive season. Christmas is approaching, and you might need to decorate your office for it. Even though it is a once-per-year event, you will still need to consider the electrical outlet planning for that purpose. You can have plug sockets near stairways, along the hallway, or near the exit point. 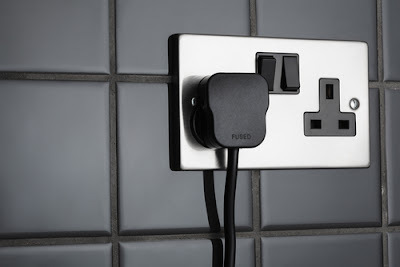 There are also other special outdoor sockets that can play a huge role in this. As you are placing the socket outlets, ensure that they can easily be accessed when installing the lightings. As you are planning to place the socket outlets in your office, you will need to keep some safety tips in mind. First off, ensure that the socket is not placed too low near the floor. Water can spill and get in the socket when someone is cleaning the office. This can lead to some serious electrical shocks. For that, make sure that you place them some inches away from the floor. Also, avoid placing the sockets near to the windows. Here, it can be raining heavily, and if the window is left open, it can lead to some explosions or electrical shocks. The best way to ensure that you do the perfect planning for your socket outlets in your office is to contact a professional company.